Extremely reader friendly and practical, SEEING SOCIOLOGY: AN INTRODUCTION, 3rd Edition illustrates the relevance of sociology to daily life through the use of images and photos. 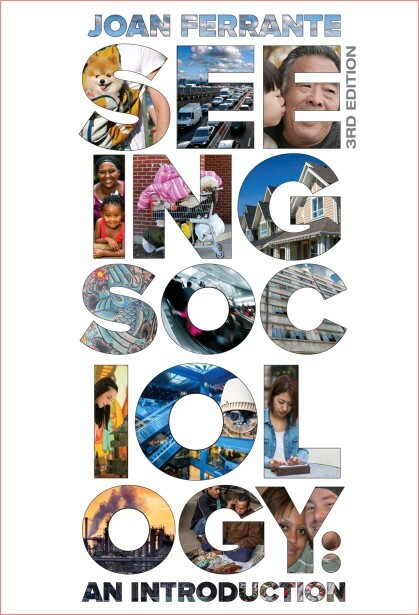 The engaging “What Does a Sociologist See?” feature demonstrates how sociological concepts apply to the everyday world. Reflecting the latest developments from the field, the Third Edition includes such contemporary topics as globalization’s connection to technology and gay rights, the anti-aging industry, and The Affordable Care Act, and many others.. Brief, self-contained modules in each chapter make it easy for readers to absorb and synthesize the subject matter, while experiential exercises enable users to put what they learn into practice.